It is always my pleasure to work with the Somer's family. 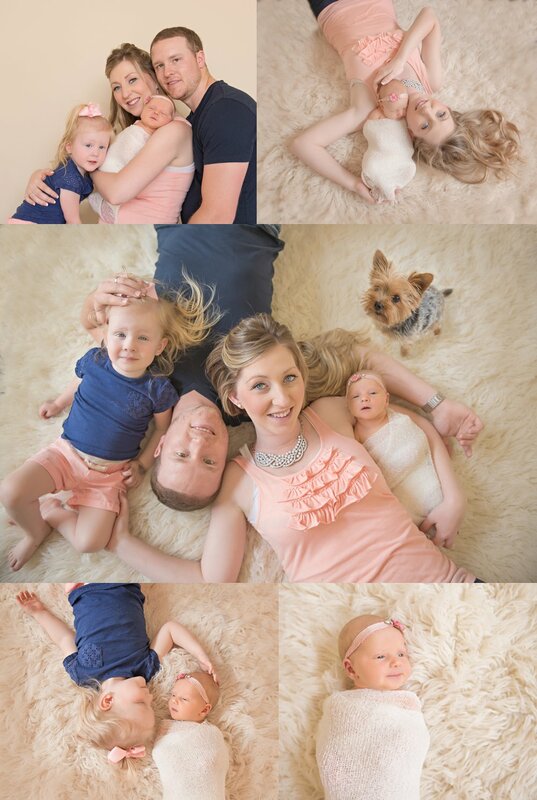 I have had the great pleasure of photographing their growing family since they were expecting their first little girl. I was thrilled when they asked me to come to their new home in Geneva, IL to photograph the newest addition to their family. Miss Izzy welcomed me at the door. I could tell she needed a little extra attention ;-) . I have also been working with Izzy for the last couple of years. She jumped up in my arms and let me rub her belly. I love working with dogs almost as much as babies! Chrissy and Ty make the most beautiful babies and I feel blessed that they invited me to their home again to help capture these very precious moments. Here are some of my favorites from this Lifestyle or in home newborn session.